SIP or Systematic Investment Planning is a method through which you can invest in mutual funds through small and periodic installments. SIP or Systematic Investment Planning is a method through which you can invest in mutual funds through small and periodic installments. SIP allows you to invest a certain pre-determined amount at a regular interval (weekly, monthly and quarterly). A SIP is a planned approach towards investments and helps you inculcate the habit of saving and building wealth for the future. 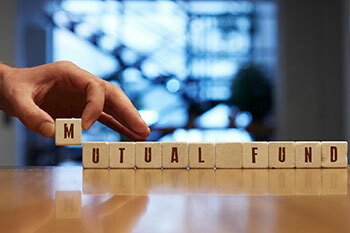 In an open-ended mutual fund scheme, you can start a SIP any time you want. Just fill up the application form along with an SIP mandate and submit it to the point of acceptance. It generally takes 10-30 days for the bank to register your SIP mandate and start it. Most fund houses stipulate a minimum of six months for a SIP. Investors can choose any tenure they wish or they may even opt for the “perpetual option” which means the SIP will continue till the investor gives an instruction to the fund house to close it. An investor can increase or reduce his SIP amount, by cancelling the existing mandate and giving the revised one. Fund houses do not charge any penalty for stopping the SIPs. Yes, of course, you can add a lump sum amount to the same scheme in which you are running a SIP. It does not affect the SIP. Your overall SIP return will be affected if the market falls significantly in the last year of your SIP tenor, hence, it is advisable that the investment horizon for SIP be lesser than your goal horizon.